Get the deepest insights into compensation and culture. Get a realistic picture of your career options based on people from your school with similar education, background and interests. No more high-level averages. 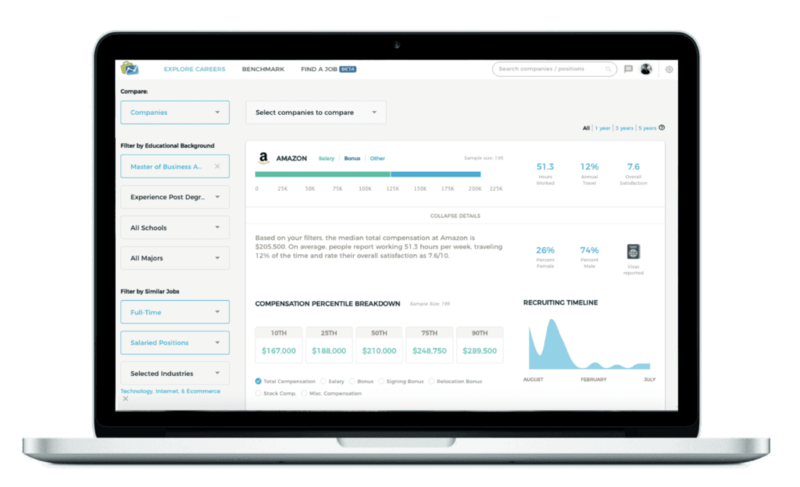 We’ll show you curated data all the way down to the position level. 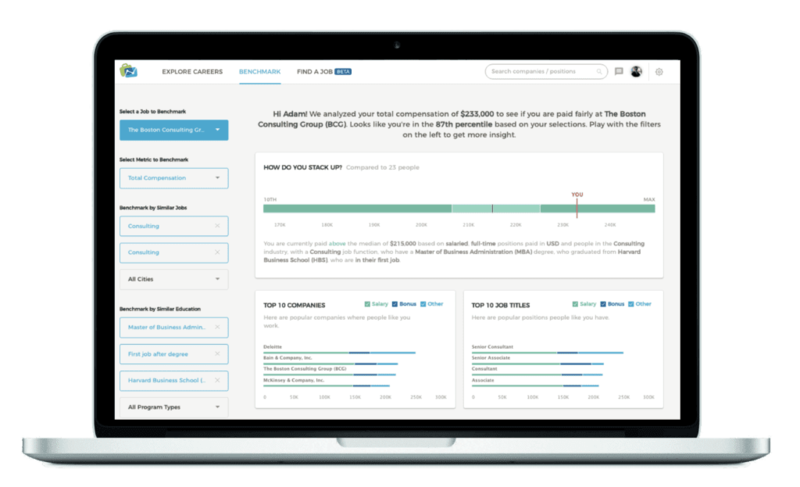 Use our smart benchmarking tool to see if you’re paid fairly and start negotiating your compensation. Create a custom peer group and see what others with your same experience and education have done with their careers. Make sure you’re being paid fairly and see exactly how you stack up to people just like you. See what real employees have to say about various aspects of working at and interviewing with a company. Get the Data You Deserve. 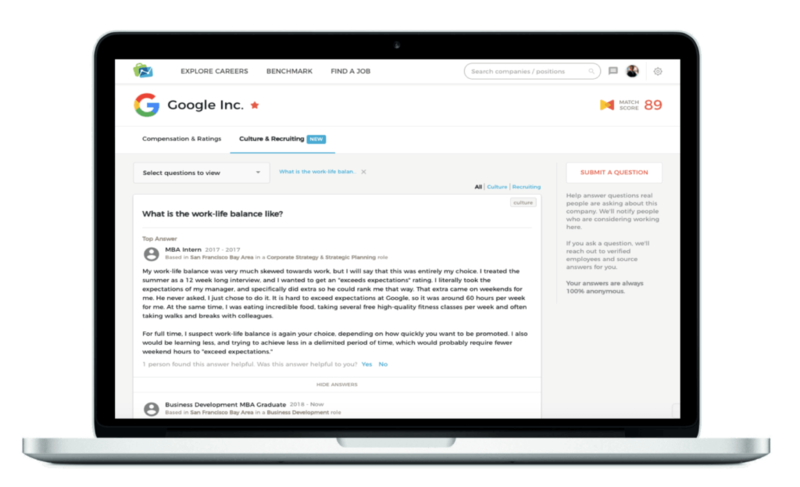 We created TransparentCareer to help everyone make some of the most important decisions in our lives – our career choices. Get real data you can trust, from real people like you.